William Huston Natcher (1909-1994) was born in Bowling Green, Kentucky, and earned his Bachelor’s Degree from Western Kentucky State College (Western Kentucky University) in 1930 and his law degree from Ohio State University in 1933. He served in the U.S. Navy during World War II. 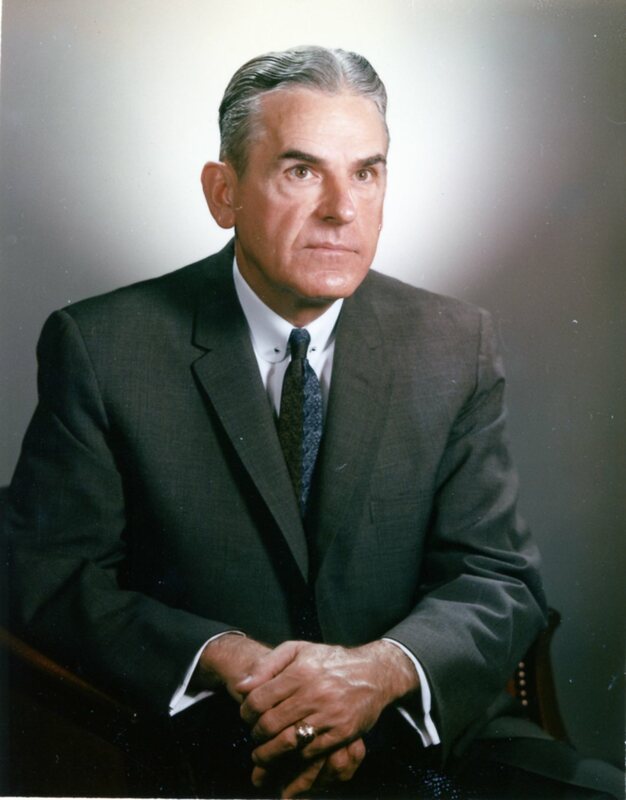 He held the position of county attorney for Warren County from 1938 to 1950 and commonwealth attorney from 1951 to 1953. Natcher was elected to the U.S. House of Representatives on 1 August 1953, to fill the vacancy caused by the death of Garrett L. Withers. Natcher opened his own mail, didn’t miss a vote, and he never accepted campaign contributions from anybody, even his closest friends. By January of 1991, Natcher held the record for consecutive votes cast in the U.S. House of Representatives: 4,191 quorum calls and 12,644 roll-call votes. For Natcher’s career as an outstanding public servant, President Clinton awarded him the Presidential Citizens Medal in 1994. He kept a detailed journal that his staff typed and had bound in leather volumes. In them he makes cogent comments about his legislative colleagues and about political and social issues. These journals are owned by Western Kentucky University. Natcher died in Bethesda, Maryland, on 29 March 1994 and was buried in Bowling Green’s Fairview Cemetery. Natcher married Virginia Reardon on 17 June 1937; they had two children, Celeste and Louise.